I started getting serious about photography about 50 years ago. My father let me use his old Argus C3 camera, the one he got from his father. I have been fascinated by photography ever since. Over the past five decades, I’ve photographed pretty much everything from automobiles to zoo animals. But what I love most is to photograph people. In my portraiture, I try to create images that capture a person’s character or personality, rather than just mapping their face. Images that truly capture a moment in a person’s life… classic portraits. For me, there are few things as satisfying as when a person tells me they really like the portrait I’ve taken of them. 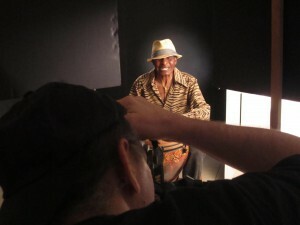 Portrait Session with Bahamian Legend Peanuts Taylor. To view more of my fine art photographs and portrait photography, please visit Duke of Nassau – Bahamas Photographer.